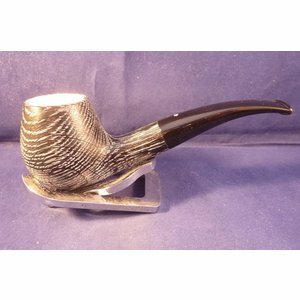 Sandblasted briar pipe made by Vauen in Germany. This pipe has an elegant nostalgic long shape. Acrylic round mouthpiece, 9 mm. filter. 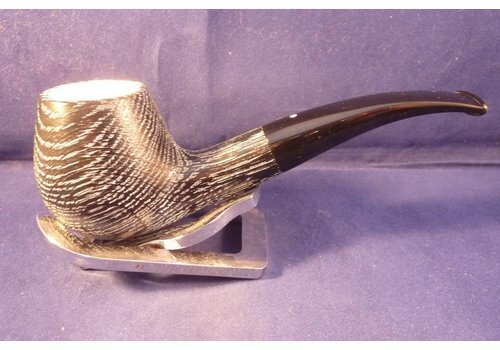 Sandblasted briar pipe made by Vauen in Germany. Acrylic mouthpiece with a ring combination of cocbolo wood imbedded with two aluminium rings. 9 mm. filter. Briar pipe with big bowl made by Vauen in Germany. Smooth pipe with acrylic P-Lip mouthpiece. 9 mm. filter. Smooth briar pipe made by Vauen in Germany. Basic pipe with acrylic mouthpiece with a nice ring. 9 mm. filter. Briar pipe made by Vauen in Germany. Designer pipe conceptualized by Sven Dogs, acrylic rings in black/white. 9 mm. filter.